Bulgaria’s environment minister was under fire on Wednesday (24 January) in the Environment Committee of the European Parliament over his positions on climate change and his support for a recent decision to allow construction of tourist facilities in the Pirin national park. 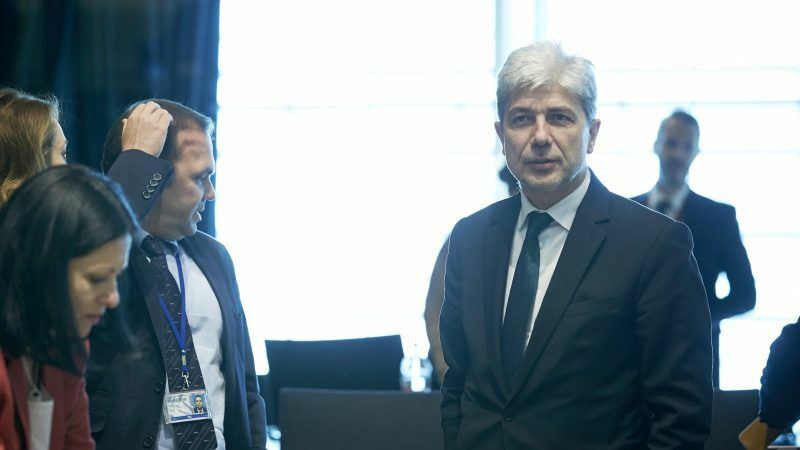 Neno Dimov, a politician nominated by the United Patriots, the junior coalition partner of Boyko Borissov’s centre-right GERB party, presented the priorities of the Bulgarian Presidency of the Council of the EU to committee MEPs. Following the early parliamentary elections on 26 March last year, Bulgarian PM Borissov was only able to cobble together a government with the nationalists, called officially the “United Patriots”. Dimov was nominated for minister by the party but in the past was a member of the centre-right Democrats for a Stronger Bulgaria (DSB) party, which failed to pass the 4% threshold to be represented in parliament. He is known as a climate change denier. Will a climate change denier chair the EU’s Environment Council? Bulgaria will take over the rotating EU presidency from 1 January 2018. 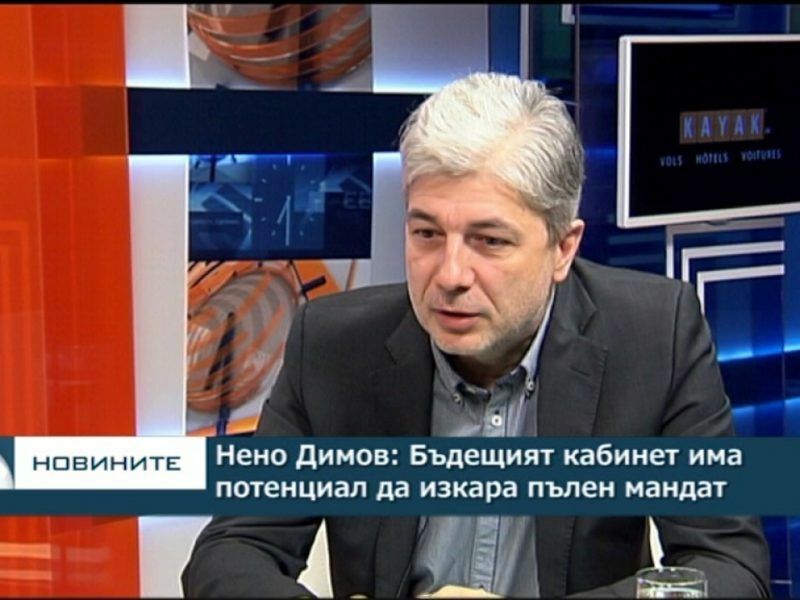 Bulgarian journalist Ivaylo Atanasov warns that the environment minister in the third cabinet of Boyko Borissov, who will chair the Environment Council, is a climate change denier. Bulgarian media reported that the hearing was heated. Dimov was also under fire for the decision of the Borissov government to open construction of tourist facilities in the Pirin national park from 28 December. The decision was rather surprising as Borissov is keen for there to be no trouble during the Bulgarian Presidency. But it was he who put onto the cabinet agenda a vote to build a second ski lift in Bansko, a proposal that was ultimately accepted. The development took place following a meeting of the PM with the United Patriots, who have consistently advocated for the Bansko development in favour of the business community against the environmentalists. 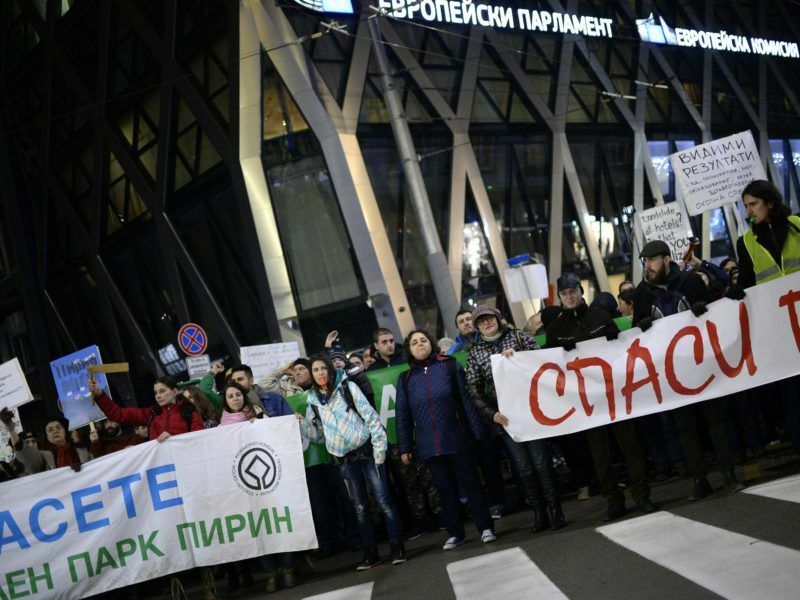 Bulgaria’s six-month EU presidency stint yesterday (11 January) got off to a noisy start as anti-corruption protesters blocked streets in heavily-guarded capital Sofia. The Pirin issue was also one of the highlights of MEP questions to Borissov when he presented the country’s Presidency priorities in Strasbourg on 17 January. He made personal guarantees that the Pirin developments are only about a second ski lift and nothing else. But S&D lawmaker Karin Kadenbach (Austria) made it plain she doesn’t believe such assurances. “There are many groups among the population, but also non-governmental organisations that fear that the quality of this national park through planned construction will be destroyed. We know that you say that these are only 2% of the protected area, and you emphasise that it is only about the construction of a ski lift. But if one looks at the plans, there is no mention of the lift at all, it’s all about infrastructure, the construction of ski slopes, reconstructions, etc.”, she said. Dimov made MEPs even more nervous by replying that the issue raised has nothing to do with the Bulgarian Presidency. MEP Soledad Cabezón Ruiz (S&D) slammed Dimov for his previously published statements that climate change is not the result of man’s actions, but a scam amounting to a “trillion [dollar] fraud”. “Your doubts on climate change are a bit shocking. You do not seem to trust enough the EU and the scientific proofs that show evidence of climate change every day,” the Spanish MEP said. Dimov, however, was relentless in his position, that political consensus was important in politics, but not in science. Meeting with journalists yesterday, Ska Keller, vice-president of the Greens/EFA group in the Parliament, indirectly asked Borissov who is behind the Pirin development project. Officially, this is an offshore fund owned by an unemployed Cypriot national, but nobody believes that. She presented a 60-page report on corruption in Bulgaria, commissioned by the Green group, and answered their questions. The report, titled “Combating corruption: from commitment to action”, has a subtitle “The messy fight against corruption in Bulgaria and the need for ambition in the EU institutions”.